Enter the contest and get a chance to win a prize! 3) Click ‘Sign Up’ and press ENTER to participate. The Contest will be held from 24 – 31 May, 23:59 hours. We’ll pick and announce the winner in the comments below on 1 June 2017. Good luck! The Contest will be held from 24 May 2017 to 31 May 2017, 2359 hours (“Contest Period”). In this Contest, participants simply need to like and share the post that linked to this URL, set their Privacy settings to Public so their shared post can be tracked and press the ‘Enter’ button in this link. If a participant has submitted multiple entries, the LATEST Participant Post submitted before 2359 on 31 May 2017 will be treated as the final entry. Lucca Vudor will, in its sole discretion, pick 1 entry as the winner of the Contest (“Winners”). Each participant must be an existing Facebook user with at least 100 friends and the account must have been set up for more than 3 months before 24 May 2017. Lucca Vudor reserves the right to disqualify any participant in the event that the participant does not meet the eligibility criteria. Employees of vendors or advertising agencies of Lucca Vudor and any other parties which are directly involved in organising, promoting or conducting the Contest. Lucca Vudor will notify the Winner before 30 June 2017 by posting a reply comment to the Winners’ Shared Post and the Contest Post. Within 14 calendar days from the date of the Notification, each Winner is required to provide Lucca Vudor with his/her Full Name (as stated in his/her NRIC or FIN or Passport), mobile number, by way of a private message to Lucca Vudor (“Winner Response Message”), in order to claim the Prize. If the Winner does not respond with the information within the stipulated time period of 14 calendar days from the date of the Notification, the Winner shall be deemed to have forfeited all rights to the Prize. In the event that a Winner is ineligible, disqualified, does not claim the Prize, is un- contactable for any reason and/or deemed to have forfeited all rights to the Prize, Lucca Vudor at its sole discretion may decide if a replacement Winner should be selected. The Winner of the Contest will each receive 1 x Shallow Grey or Shallow Purple MAGALIE P 2588-AB02. 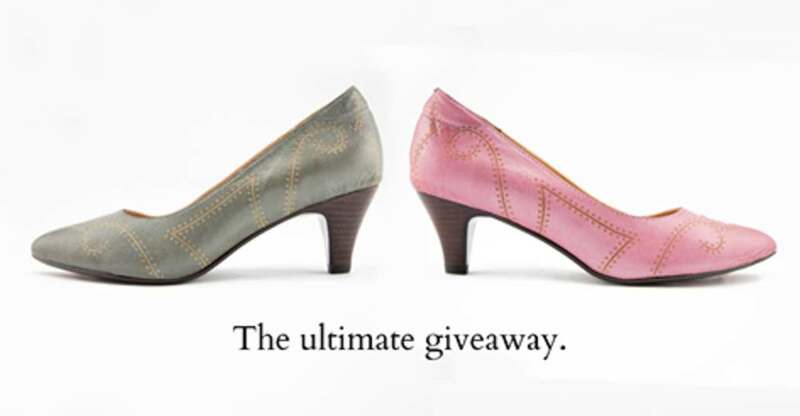 The Winner must pick up the shoes at 100 AM Shopping Mall, #02-04, between 11am to 9pm.